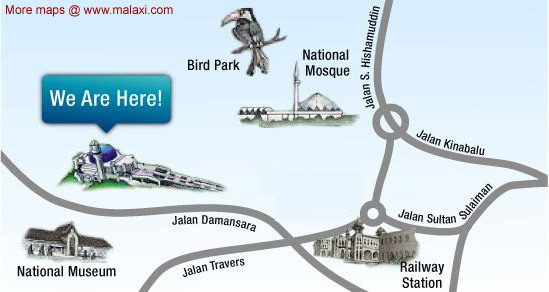 National Planetarium situated at the hill of Kuala Lumpur Lake Garden, surrounding by National Mosque, National Museum and KL Bird Park, National Planetarium is the place where the journey to space begin. Combination of the Islamic architecture and astronomy, makes the National Planetarium resembles a mosque, but combined with a futuristic look. The year 1994 heralded a new era in space science and technology for Malaysia with the official opening of the National Planetarium. The event not only focused the nation's attention on the overall design and architecture and unique facilities of the Planetarium but also brought to light the government's serious commitment to the development of space science and technology. 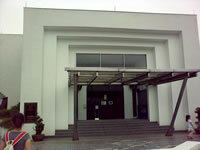 The National Planetarium started as the Planetarium Division in the Prime Minister's Department in 1989. 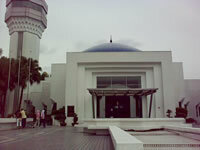 The construction of the National Planetarium complex began in 1990 and was completed in 1993. A soft launch to the public began in May 1993 and it was officially opened by the former Prime Minister, Tun Dr. Mahathir Mohamad, on 7 February 1994. In July 1995, after one and a half year of smooth operation, the Division was transferred to the Ministry of Science, Technology and the Environment. Taking three years to build, the National Planetarium complex houses a tilted dome theatre at its very heart. The unique design of the theatre posed a great challenge to the project architects, engineers and building contractors. The exacting requirements of the planetarium and the large-format film projectors posed even more formidable challenges. Many difficulties had to be overcome and it took two years for all equipment and exhibits to be completely commissioned. In spite of the difficulties, the National Planetarium has been able to carry out several successful educational projects with public schools and the public. Now the National Planetarium plays a crucial role in promoting space science to society at large and leading Malaysia towards the development of space science. Given the complexity where many different suppliers had to be precisely coordinated, coupled with the fact that no one in the country had any previous experience in numerous aspects of the works to be done, the successful completion of the complex and commissioning of all the equipment in it with minimum delay was an outstanding achievement.